We understand the importance of creating and maintaining wealth for your family and future generations. That is why the Fort Point Group at Morgan Stanley believes in risk-controlled investing. We accomplish this through well-diversified asset allocation, careful selection of investment vehicles, and hedging seeking to reduce volatility without sacrificing long-term gains. We believe that compounding investment assets at a consistent rate of return can be superior to attempting to achieve highly volatile and ultimately unsustainable returns. We measure our success not by whether we beat an arbitrary benchmark but by the quality of life our clients enjoy commensurate with their goals. Walter has spent the entire 30 years of his professional career in the investment management business with Morgan Stanley and its predecessor firms. 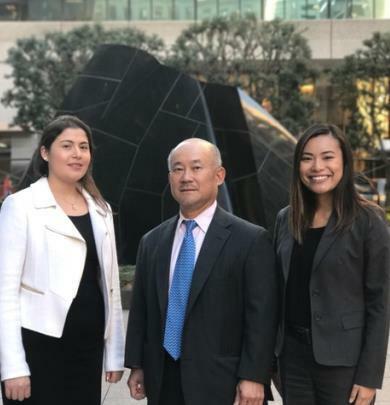 Apart from providing a comprehensive array of wealth management services to his clients, he also manages customized and discretionary accounts through the firm’s Portfolio Management (PM) program. Since 1992, he has been a member of the firm's distinguished President's Council, a select group of the firm’s top Financial Advisors. Walter graduated from the University of California at Berkeley, with a degree in Business Administration, and has also earned a Certified Investment Management Analyst (CIMA) designation from the Wharton School of Finance and a Certified Portfolio Manager (CPM) designation from Columbia University. 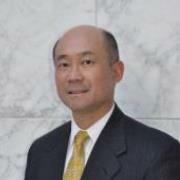 He was selected as one of the Top 250 Wealth Advisors in the nation by WORTH magazine in 2009. Walter is an avid golfer and presently resides in the San Francisco Bay Area with his wife, Rowena, and four children. 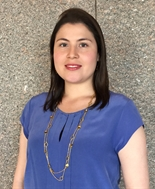 Marissa joined Morgan Stanley in 2012, working primarily on preparing financial plans for clients. As a Financial Advisor with a strong planning-based background, Marissa now spends most of her time in face-to-face meetings with individuals to help them solve their myriad and complex financial issues. She also works closely with our clients’ outside trusted advisors, such as CPAs and/or attorneys. Marissa currently has her Series 7 and 66 Securities Licenses as well as her Health and Life Insurance Licenses. Marissa attended the University of California, Berkeley, and spent a semester studying at the University of Auckland, New Zealand. Outside of work, she enjoys swimming, painting, and exploring San Francisco. 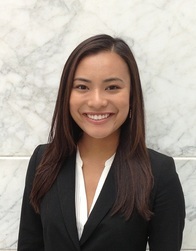 Claudia joined Morgan Stanley in 2014. As a Client Service Associate with a background in Administration, Claudia helps the team process client transaction requests and forms. Claudia attended San Francisco State and studied English Literature. She is a San Francisco Native and enjoys outdoor concerts, movies, and cooking.